Ladies, I will let you in on a secret. The key to success is easy to find — so easy that you probably already have it — it’s usually just masquerading around as hardship. Kanye said it best, that “what doesn’t kill you makes you stronger.” You are bound to encounter some tragic moments in your life, we all do! Here are some instances that are initially earth shattering, but are actually blessings in disguise. It’s painful, it’s difficult, but practically everyone will experience the end of a relationship at some point. Even if you are the one who ultimately ends a relationship, it can seem like the end of the world. But after a few days (let’s be honest, maybe weeks or months) of wine, Adele, and Nicholas Sparks movies, you reboot and come to the realization that you are the source of your own happiness. Heartbreak shows us so much about how we handle emotional pain, how quickly we can recover, and how we should handle future relationships. I know, I already mentioned heartbreak, but heartbreak caused by unfaithfulness and betrayal is a whole other can of worms. It will leave you angry, bitter, and with a number trust issues. The silver lining is that if you were cheated on, it means you were in a troubled relationship, but were unable to see it. Rather than continuing on blindly in a rocky relationship, you can now focus on yourself and finding a man that deserves you. Remember, getting cheated on is NEVER your fault! Whether you’re a starving artist, struggling college student, or unemployed, you can understand some sort of financial strain. You eat bananas and Ramen noodles and you haven’t bought a new outfit in over a month. Trust me, I am completely aware of how extremely difficult this is. However, having limited means usually results in better money management, smarter purchases, and a greater appreciation of savings accounts. Once you get back on your feet, you will inevitably approach your finances much more responsibly and will also be more prepared to face potential future money problems. Have you ever been up for a promotion and didn’t end up getting it? Or as a student, tried with all your might to get an A on that test and got a B instead? Sometimes, things won’t work out the way we hoped, and we end up the loser instead of the winner. I don’t know about you, but this fuels my fire and all I can focus on is finding a way to ensure that next time, I will come out the winner. Remember that almost every great name in history lost or failed something, and that was usually the reason for their eventual success. 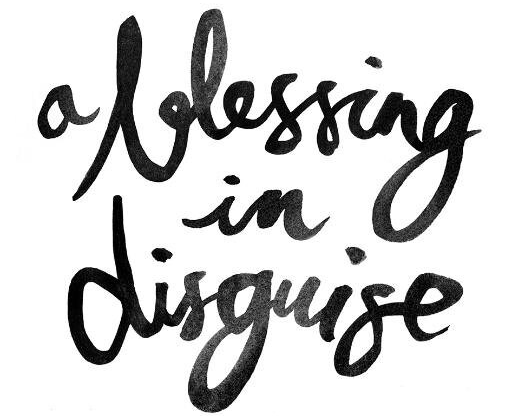 Can you see how some of your hardest times were blessings in disguise?